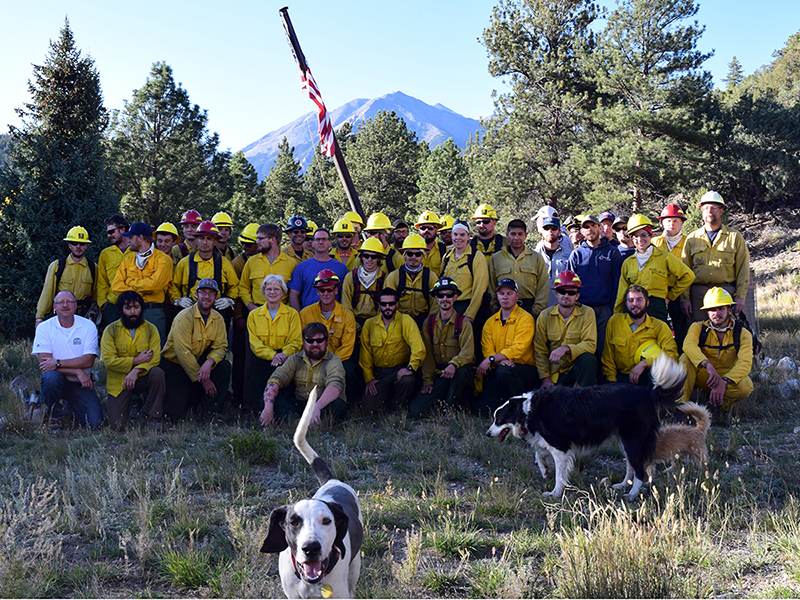 One of our all-time favorite class photos: October, 2014 includes Fire Instructor I, #23. 32-hour class based upon IFSTA “Fire and Emergency Services Instructor,” 8th edition, designed to prepare the student to meet the job performance requirements (JPR’s) contained in NFPA 1041, Standard for Fire Service Instructor Professional Qualifications (2012) for the position of Fire Instructor, level I. This class is equivalent to NWCG’s M-410, “Facilitative Instructor.” Includes pre-course reading and project assignments. The Colorado Division of Fire Prevention & Control practical examination for Fire Instructor I certification will be offered at Colorado Firecamp during each class. Who: The target audience includes fire department and wildfire agency personnel responsible for delivery of firefighter training sessions. Also helpful for individuals seeking Fire Instructor I certification as a prerequisite for Fire Officer I. Class will begin at 8:00 am, Thursday, and conclude by 5:00 pm, Sunday. Students can expect a rigorous schedule with morning, afternoon and evening sessions, in addition to nightly reading/project assignments. Where: Colorado Firecamp at the Ponderosa Lodge, 12 miles west of Salida, ½ mile north of U.S. Highway 50 on County Road 240. The Colorado Fire Service Training and Certification Advisory Board “has established the IFSTA training manuals, IFSTA Instructor lesson plans, and curriculum packages as the minimum curriculum leading to state certification.” This course meets NWCG instructor training requirements of the Field Manager’s Course Guide, PMS 901-1. $550 — includes tuition, IFSTA manual, 3 nights of lodging, and 11 meals (Thursday breakfast through Sunday lunch.) Student provides own textbook. You can purchase this manual for at www.bradybooks.com $69.50. A reduced charge is offered to member agencies of the Upper Arkansas Valley Wildfire Council.